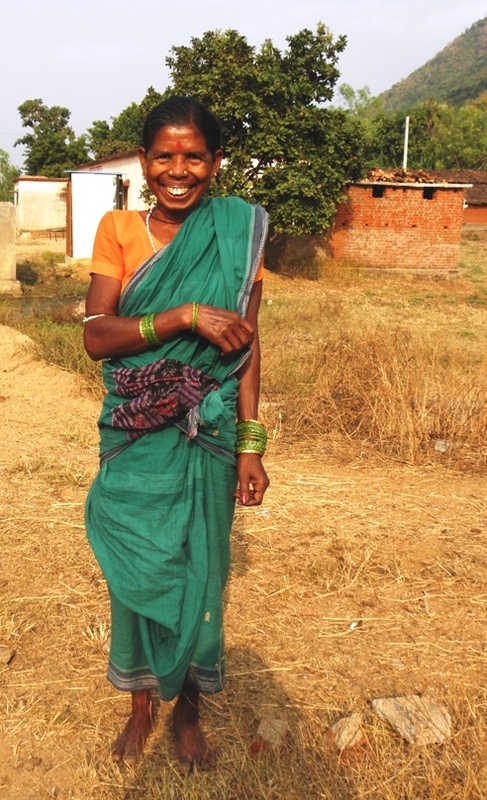 Funded by the BIG Lottery Fund (UK), the Barefoot Lawyers Project is working in ninety remote villages in Western Odisha. These are mainly Adivasi (tribal) and dalit communities, some of the poorest in India. The project works with the women, training them in legal skills so that they will be able to claim their rights. One of the most important aspects of this is that they will learn about various government schemes and benefits, and will have the confidence to ensure that they receive all that they are entitled to. Two of the most powerful tools are the Right to Information Act, which enables ordinary people to demand information about local implementation of government schemes, and the Public Services Guarantee Act, which means that officials can be personally held to account if they fail to carry out their responsibilities. By using these pieces of legislation, the women can ensure that a wide range of schemes such as the Food Security Act, and the National Rural Employment Guarantee Scheme, and services such as medical services, access to safe drinking water, schools and so on, are properly provided. An example of how this can directly benefit villagers was in the recent drought of 2015-16. In many villages the harvest was NIL. They were faced with no option but to migrate to the cities for work, work that often amounts almost to slavery. Through the BAREFOOT LAWYERS Project, activity focussed on the schemes and benefits which would most help families survive the drought. The women successfully campaigned that the Food Security Act provide them with heavily subsidised food, and for work schemes which would provide paid work on local projects that improved the local infrastructure – access roads, check dams, village ponds, and similar schemes, all of which help to increase the sustainability of the local communities. Though the BAREFOOT LAWYERS Project had only been running for a few months, everyone – the women included – was impressed by the positive impact that the Barefoot Lawyers had. The subsidised food and paid work meant migration in the project villages was very much reduced. The women have gained enormously in confidence and their ability to address their problems. They no longer feel totally at the mercy of those in power and authority. Of course, it doesn’t change the weather, but much of the work carried out will build their resilience to future droughts. And in the meantime, there has been a good monsoon, so everyone is looking forward to a good harvest in the coming months. Another example of the way in which this project has helped to bring change is through the use of “Budget Advocacy and Monitoring”. This rather dry-sounding process is potentially very powerful. Villagers and local representatives are trained in awareness about the responsibilities of local government, campaign to ensure that officers and representatives properly implement policies, and then monitor the progress. By setting up this process in 10 pilot villages, there have been important achievements. For example, 3,622 latrines have been built with government support. This particular example is a radical venture for the area where resistance has been long and strong, but the benefits in terms of health with be enduring. In ways like this, our Barefoot Lawyers are helping to improve the lives of their families and communities, and, in the process, are growing in confidence and self-respect. This has been one of the best and most effective projects we have ever seen, and we are proud to be a part of it.